1. Mayor Bill Peduto gave his "State of the City" speech on Tuesday at the University of Pittsburgh. The speech was part of the Pitt School of Social Work's Center on Race and Social problems speaker series. 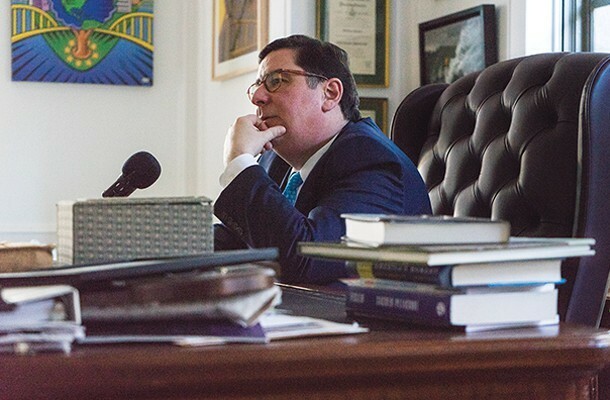 The majority of Peduto's remarks centered around the issue of equality and the tale of two cities many have begun to identify in Pittsburgh. "We're in the top of every list when it comes to quality of life, the ability to create jobs," said Peduto. 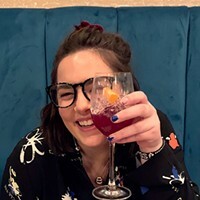 "But we're also at the point where we're dividing back into two Pittsburghs, where the disparity between those that have access to this new economy and those who don't is as great as the mill workers in the 1920s. And that's really where the city's challenge will be." 2. 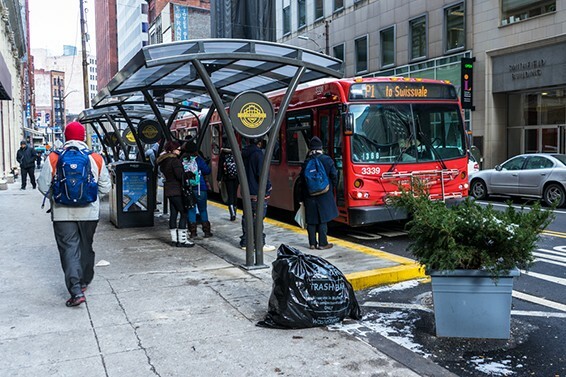 New infrastructure at the bus stop at Smithfield Street and Sixth Avenue in Downtown is drawing praise from the transit-advocacy community. 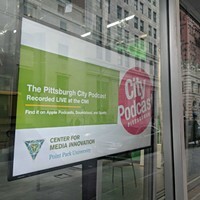 In an opinion piece by Chris Sandvig, of the nonprofit Pittsburgh Community Reinvestment Group, published on City Paper's website, he wrote "We thank Mayor Peduto for his leadership and look forward to working with his administration, and all stakeholders, to make the Smithfield "super stop" the first of many transit street projects and a new way of thinking." 3. 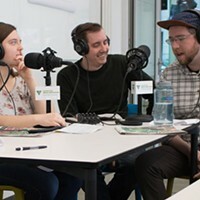 This weekend the Greater Pittsburgh Arts Council is holding information sessions for the inaugural Re:NEW Festival, a month-long, citywide event slated for the fall. Re:NEW is billed as a “celebration of Creative Recycling, Transformation and Sustainability.” The programming will include “art exhibitions, expos and conventions, markets of artwork and goods made of upcycled materials, workshops, performances, talks and tours,” and more. The first info session is at 2 p.m. Sat., Jan. 30, at the Carnegie Museum of Art Theater, 4400 Forbes Ave., in Oakland. The second is at 6 p.m. 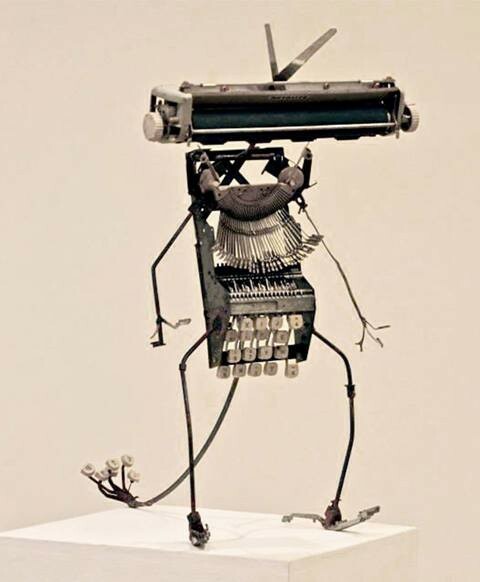 Mon., Feb. 1, at Neu Kirche Contemporary Art Center, at 1000 Madison Ave., on the North Side. Both sessions are free. 4. Tomorrow morning is your last chance for the Central Blood Bank's The Walking Dead promotion. 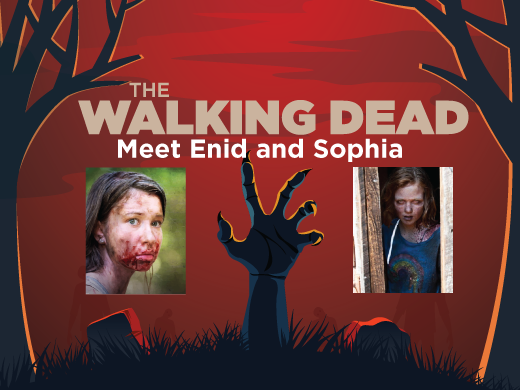 If you donate blood tomorrow between 7:30 a.m.-2:30 p.m. at one of the Central Blood Bank centers (there are 22 in the area), you can receive a ticket to meet two actresses from the series — Katelyn Nacon ( who plays Enid) and Madison Lintz (Sophia Peletier) — this Sat., Jan. 30 from noon-5 p.m. at the DoubleTree Hotel in Green Tree. The blood bank is using the connection between zombies and blood to promote awareness and is hoping that cable TV's No. 1 rated show, on AMC, will attract donors. The show's sixth-season premiere drew 19.5 million viewers. In order to keep up with demand from the approximately 40 area hospitals the bank provides blood to, Central Blood Bank needs 500 donors each day. 5. Sunday is the last day to sign up for 2016 health coverage under the Affordable Care Act. 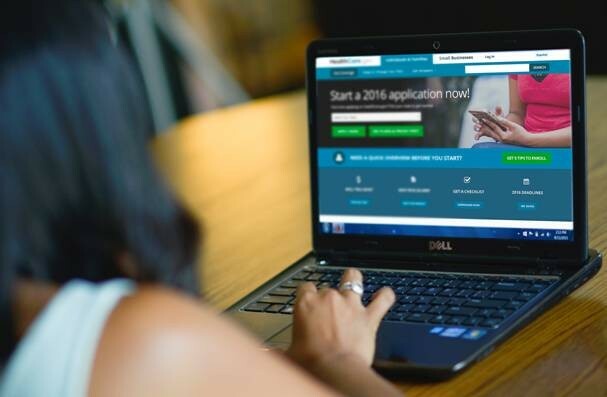 According to Enroll America, a national outreach organization, four out of five Pennsylvanians who have signed up for coverage have received some kind of financial assistance to reduce their health-insurance costs. As for data released last week, a little more than 415,000 Pennsylvanians — 78,213 in Pittsburgh — had enrolled in a Federal Marketplace plan. 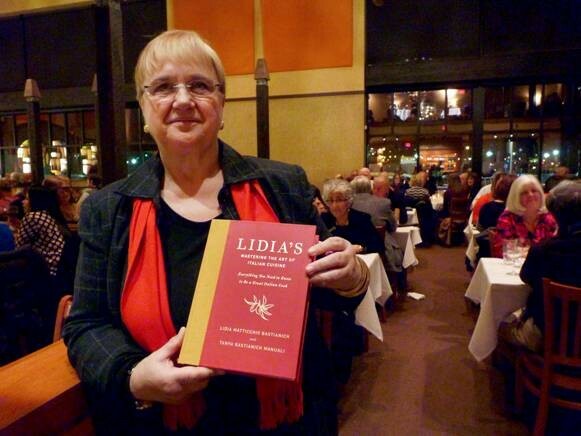 In our second episode, columnist and Sound Bite segment host Celine Roberts takes us to the busy kitchen at Lidia’s Pittsburgh to talk to none other than Lidia Bastianich. 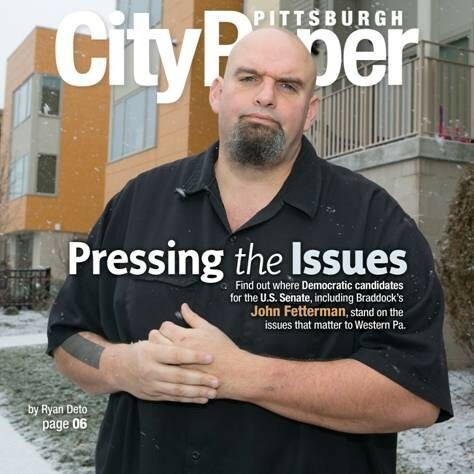 We talk with City Paper staff writer Ryan Deto about Pennsylvania’s U.S. Senate seat that is up for grabs. And, CP editor Charlie Deitch goes off about the Republican presidential candidates ahead of the Iowa Caucus. We are now on iTunes, so subscribe! If political events are what you want, this is YOUR weekend. On Sunday, catch Pennsylvania State Rep. Jake Wheatley at his re-election campaign kick-off event at the Rivers Casino's Grand View Buffet. The event begins at 1 p.m. Wheatley has represented the 19th District, which includes the Hill District, North Side, South Side, Allentown, Hazelwood, Downtown Pittsburgh, The Bluff, Knoxville, Beltzhoover, Manchester, Arlington, Arlington Heights and, North, South and West Oakland, for 13 years. Also, he has the endorsement of 13 ward chairs. 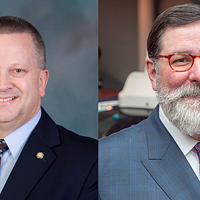 At 2 p.m., head over to Carnegie Mellon University for a U.S. Senate candidate forum. 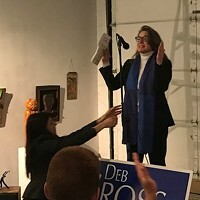 Pennsylvania’s upcoming U.S. Senate race has been dubbed one of the most important senate elections in the country by several political experts, and the three major Democratic candidates are Braddock Mayor John Fetterman, former Pennsylvania environmental secretary Katie McGinty and retired Navy admiral and former U.S. Congressman Joe Sestak. Topics to be covered this Sunday include immigration, mass incarceration, criminal justice reform, national security, foreign policy and climate change. 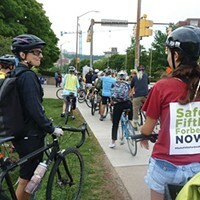 On Wednesday, Pittsburgh City Council gave preliminary approval to an ordinance amending the Pittsburgh City Code by removing language that says bicycles are confined to roads. 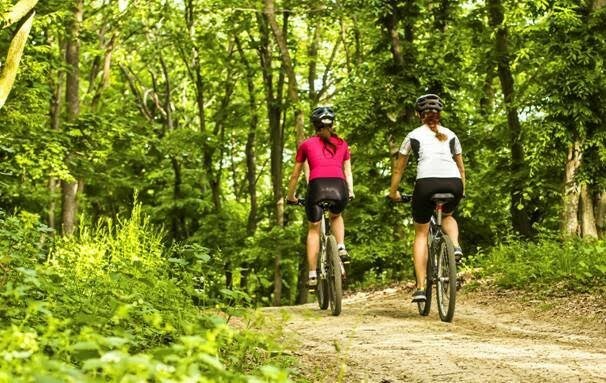 The ordinance which was unanimously supported by council adds language to allow cyclists to ride in "wooded trail" areas that are often used by mountain bikers in city parks. "This is really a technicality that we're solving," said Councilor Corey O'Connor, chair of the urban recreation committee and sponsor of the legislation. "The old ordinance said if you're on a wooden trail you had to push your bike. So now we're allowing bike riders to bike in our parks and trail systems. It's a very minor technical amendment that we're making just to clarify the ordinance." Our new series is examining the U.S. Senate race one issue at time. 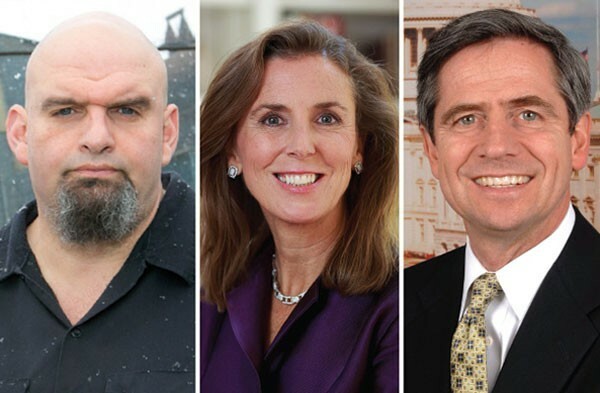 Democrats John Fetterman, Mayor of Braddock; Katie McGinty, former secretary of the state’s Department of Environmental Protection; and Joe Sestak, retired Navy Admiral and former U.S. Congressman, are vying to face incumbent Republic Sen. Pat Toomey in the general election. The issue we focused on this week: affordable housing. Read what each candidate has to say about this topic.